The hotel is quite luxurious for couples or families, located on the beach is beautiful, several restaurants, rooms large and luxurious. A Club section for further service is available. 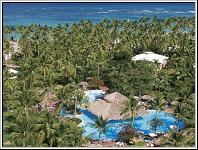 A luxurious hotel for couples or families, located on the beach is beautiful. Several restaurants offer excellent cuisine. A wide selection of room. A Club section for further service is available. A medium-sized luxury hotel for families, adults and weddings on the beach, a beach with seaweed but excellent for snorkeling. Several restaurants, SPA, small air-conditioned gymnasium, disco, conference room, kids club, funny teen center. 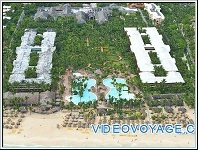 A medium-sized luxury hotel for adults, located on the beach, several swimming pools and Jacuzzi, a beach near perfect. Several charming restaurants. A large spa, modern gym, nightclub, theater very comfortable. A hotel for families and couples, located directly on the beach, several swimming pools and Jacuzzi, a children's pool, a beautiful beach. Several charming restaurants. Infrastructure for weddings and a choice of room honeymoon. A hotel for families and couples, located directly on the beach, uen pools with jacuzzi, children's pool, a beach but with a little seaweed and little depth in the sea access to the beach for persons with disabilities. A hotel for families and couples, located directly on the beach, large swimming pools with jacuzzi, pool for children with games, many a la carte restaurants, a beautiful beach but with higher waves than other hotels. Easy access to the beach for the disabled. Small hotel directly on the beach, outside of tourist zone. Beach with brown sand and big wave. This hotel is not all inclusive hotel usualy. No animation. Luxury room. French restaurant with exceptional wine cellar, two other restaurant with personalized service. Quiet hotel, luxury and exceptional service. 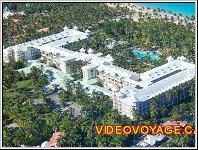 The hotel no longer exists, it is replaced by the Barcelo Bavaro Palace Deluxe. Directly on the beach, luxury hotel for family, couple and wedding. All restaurant with Air Conditioning except beach restaurant. Large room. Large pool with swimming bar. Beautiful beach. Some sports at RIU complex. Mini-club with air conditioning. gym and SPA. 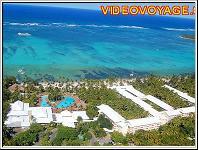 Directly on Bavaro beach, luxurious hotel for the family, couple or wedding. All restaurant with air conditioning except beach restaurant. 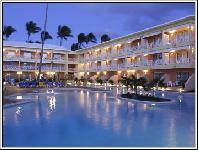 Large rooms with jacuzzi, HD monitor,... Large pool with bar and 2 pools for Club section with bar. Some alga at the beach. Mini-Club with air conditioning. Large convention center. Hotel not directly on the beach, at 300 meters. 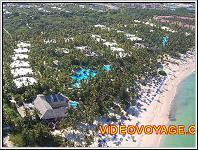 Access to restaurant of Barcelo Bavaro complex, except Bavaro Palace hotel. Include Buffet restaurant and not include a la carte restaurant directly at hotel. 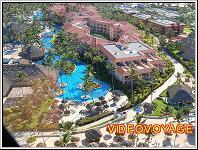 Animation at Barcelo Beach and Barcelo Caribe. Large casino, small and quiet pool at hotel. Popular hotel for couple and family. average dimension pools, long beach with beige sand and big wave. many restaurants, disco, casino and active animation. Luxurious hotel for family and couple. Beautiful beach, with no many nautical sports. Many beautiful restaurants without reservation. SPA with many services. Long pool. Many sports available. Beautiful mini-club with water slide. Luxurious rooms. Luxurious hotel for couple, in 13 buildings with 3 levels. Average dimension site. 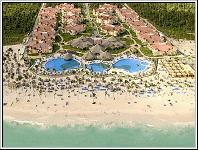 many restaurants, beach with beige sand and big wave, 2 pools. Large SPA with many services and gymnasium. Quiet animation. good show, live music at restaurant, live music on terrace for dance. Hotel for all customer type, but young customer like this hotel for party. 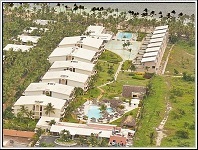 Large site with Club section at 400 meters of beach. Many restaurants, beautiful beach, good animation. Mini-club, disco, tennis,... At 30 minutes of airport. Beautiful beach with wave. 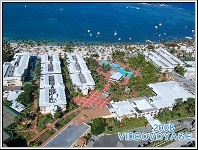 Large complex with many sections... many restaurants, bars, pools and limitation between section. Good for family at center, full service near beach and adult section. Beautiful beach with many people on the beach since Ambar section is open. This old hotel change often for better, many renovation, new services,... medium scale site with many building, with luxuriant vegetation. good animation, small beach with many people, correct beach. corect at good restoration. Direclty on the beach. 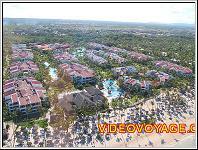 Before the Barcelo Bavaro Beach, hotel in large Barcelo complex. Good animation, medium scale pool, one buffet restaurant and 2 a la carte restaurant direclty at hotel, other a la carte restaurant in complex. rooms in 5 building of 3 and 4 levels. beautiful beach but some marine algae. need renovation. 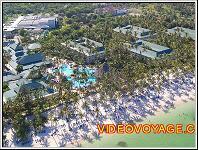 Direclty on the beach, Barcelo Bavaro Palace before, one hotel in large Barcelo complex. quiet hotel and animation. medium scale pool with swimming bar and jacuzzi. rooms in many building of 4 levels. Large buffet restaurant and many a la carte restaurants. many sports available, disco. Before good 5 stars, now low 5 stars, need some renovation. 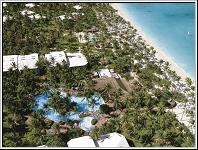 The RIU Bambu is located directly on the beach. 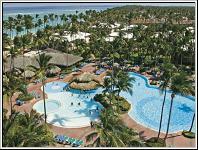 It is part of the vast complex RIU. 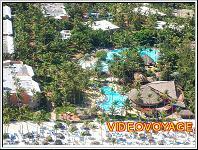 An animation shows the two medium sized pools, a large buffet restaurant, rooms in small buildings of 2 floors, a pool bar, a room well laid out show. 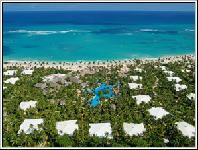 Directly on the beautiful beach, luxurious hotel in large RIU complex. animation at medium scale pool. Large buffet restaurant in 4 levels building. Beautiful rooms. Some a la carte restaurants and bars. Some rooms with jacuzzi. Not direclty on the beach, one hotel on the big RIU complex. 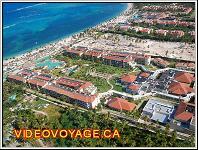 medium scale pool, large buffet restaurant, rooms in 5 levels building. Beautiful beach, disco Pacha. animation at pool. mini-club available in complex. Large site directly on the beautiful beach but some marine algae. Many good restaurants, many pools, golf available, convention center, beautiful gazego for wedding, beautiful rooms, train on site, correct animation, quiet hotel. Royal Service section available. 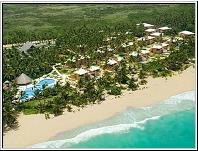 Directly on the beautiful beach, medium scale site with two sections: standard and luxurious section Cayena. medium scale pool in standard section and small pool at Cayena section. Family room available. Direclty on the beach.The smaller hotel of big complexe, with only one buffet restaurant, but access at some restaurants of complex. good mini-club and good animation. beautiful beach! Directly on the beach, but the beach is not perfect at this hotel. Very good service at this hotel. It's Dominican hotel. 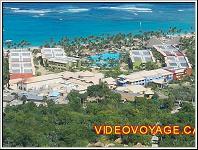 Many nautical sports equipment, casino, disco and large theatre, 3 pools, restoration is good. 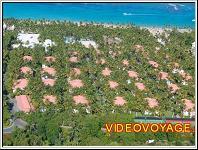 Luxurious hotel directly on beautiful beach, very good services. Royal service available and Garden Villa. large site with many good restaurants. Ideal for couple. Quiet hotel and animation. 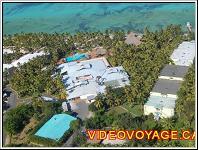 Directly on the beautiful beach, large site. Good restoration, large pools, good animation, disco. Ideal for all type of costumer.